Woodland Scenics Dry Transfer Decals are the quick and easy way to make your hobby projects look great. 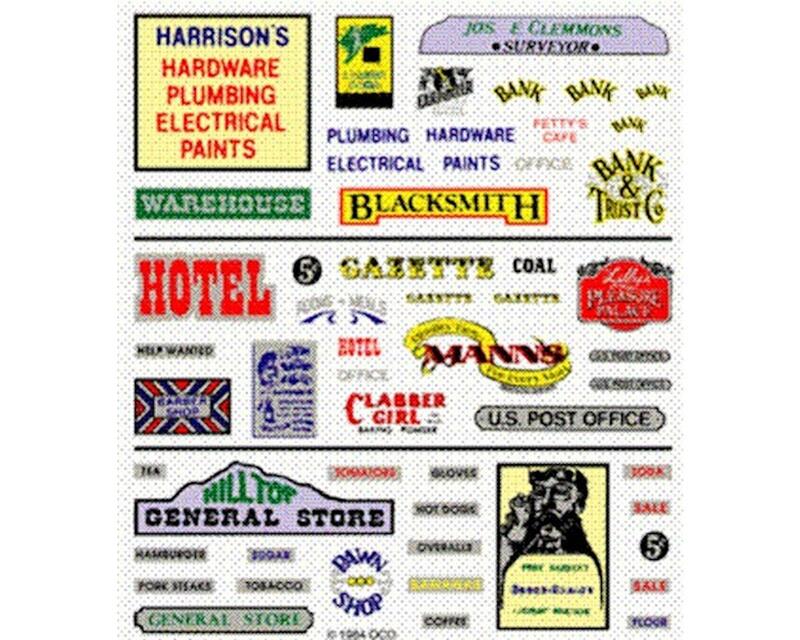 The wide range of decals will add desired detail to buildings, fences, signs and boxcars in full color. Give your layout, diorama or miniature scene the touch of authenticity needed to bring it truly alive. With Dry Transfer Decals there's no wet mess like with water-applied decals. Use the Dry Transfer Bunisher (WOODT600) to apply.